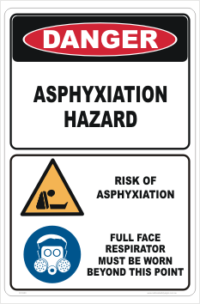 Asphyxiation Warning sign. Choose from drop down menus for material and size. 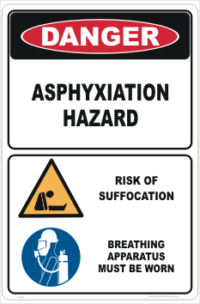 A Metal Asphyxiation Warning sign in various sizes.